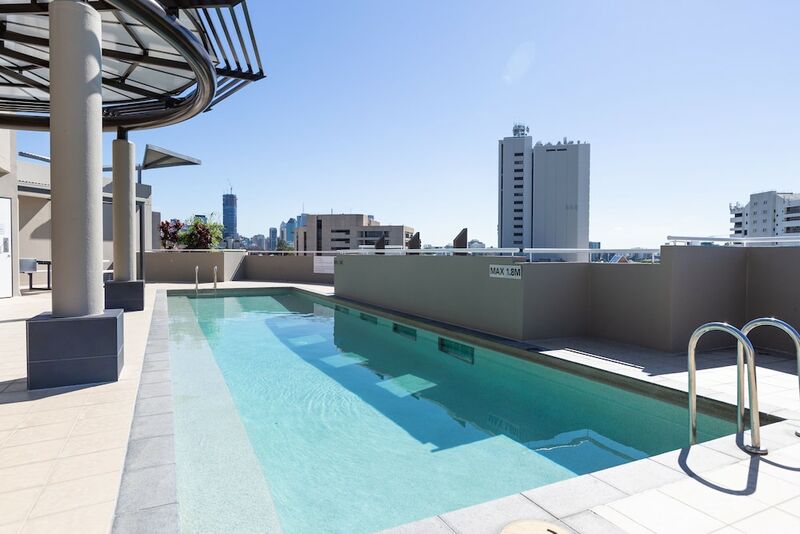 With a stay at Gabba Central Apartments in Woolloongabba, you'll be within a 15-minute walk of The Gabba and Mater Private Hospital Brisbane. This 4-star apartment is 1 mi (1.5 km) from South Bank Parklands and 1.6 mi (2.6 km) from Queen Street Mall. Make yourself at home in one of the 42 individually decorated guestrooms. Complimentary wireless Internet access keeps you connected, and digital programming is available for your entertainment. Bathrooms have complimentary toiletries and hair dryers. Conveniences include coffee/tea makers and irons/ironing boards, and housekeeping is provided weekly. Be sure to enjoy recreational amenities, including an outdoor pool, an indoor pool, and a sauna. This apartment also features complimentary wireless Internet access, gift shops/newsstands, and a hair salon. Grab a bite from the grocery/convenience store serving guests of Gabba Central Apartments. Featured amenities include a business center, dry cleaning/laundry services, and luggage storage. Limited parking is available onsite. The front desk is open daily from 7:00 AM - 7:00 PM. Don't know about the apartments but the complex below offers a Coles, a couple of coffee places and a Korean supermarket. Good to service needs of the locals but still so much more could be done to attract more people. It's better than nothing though. Hope it improves.